Home > Latest News > Careers in International Organisations > Working in the international Public Sector > Join the UNHCR at the Global Careers Fair! Join the UNHCR at the Global Careers Fair! 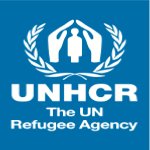 We are delighted to present our new exhibitor for the next Global Careers Fair: the UN Refugee Agency, emerged in the wake of World War II to help Europeans displaced by that conflict. Optimistically, the Office of the United Nations High Commissioner for Refugees was established on December 14th, 1950 by the United Nations General Assembly with a three-year mandate to complete its work and then disband…On June 2014, the UN refugee agency reported on World Refugee Day (20 June) that the number of refugees, asylum-seekers and internally displaced people worldwide has, for the first time in the post-World War II era, exceeded 50 million people. In a recent news briefing by Antonio Guterres, U.N. High Commissioner for Refugees, “We are really facing a quantum leap, an enormous increase of forced displacement in our world”. The GCF will provide you the ideal platform to connect with representatives from this amazing organization, learn more about their mission, the incredible challenges they face every day and meet some of their people for an update on what people they are looking for.